What is a NAS, and how does it work? What makes Fujitsu workstations perform better? Backup Software or Backup Appliance? Data Archiving is becoming more important to businesses as data volumes continue to increase. The idea of backing up everything is reaching a tipping point – 7×24 operations, increased volumes, network bandwidth, software licensing limitations and not enough disk space! All of these issues are affecting a businesses ability to be able to maintain RPO (Recovery Point Objectives) and RTO (Recovery Time Objectives). All businesses have key critical servers or applications that need to be on-line and running with the minimum amount of disruption, but due to the way data is backed up, recovering a server, application or data is almost always problematic. The problem is that in any business it is hard to segregate the most recently created and accessed data, as such everything is backed up whether or not this data is key to bringing the server online swiftly. 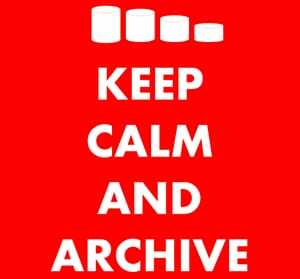 It’s surprising but many businesses consider backup as part of an archive strategy. It really isn’t and should be treated as a separate task. A backup is used to recover a system or file to a point in time and usually involves disk / tape. Archiving identifies data which needs to be retained for many years or decades so that it can be recalled decades later, this could involve disk / tape / optical. If backup and archiving are used properly then considerable savings can be made. Identifying what type of data to keep and more importantly where to store it, who is allowed access and what regulatory compliance for eDiscovery is needed all play a large part when considering Data Archiving. It is a well known fact that over 80% of data stored is inactive after just 60 days! A reliable data archiving solution will drive efficiencies, improve compliance with accelerated performance and cost savings. If you need to know more please call us on 01256 331614 or sales@fortunadata.com for advice.